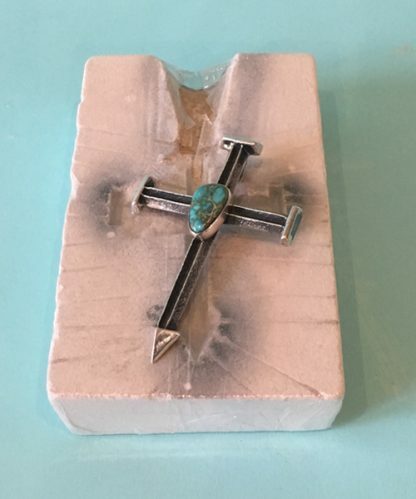 Navajo tufa cast artist Aaron Anderson’s work is very diverse but it always captures a true Native American look. 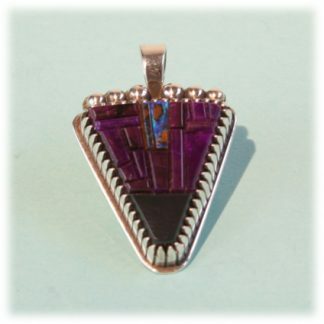 He made this silver pendant using a tufa stone and that allows the work to have a beautiful earth sand texture. 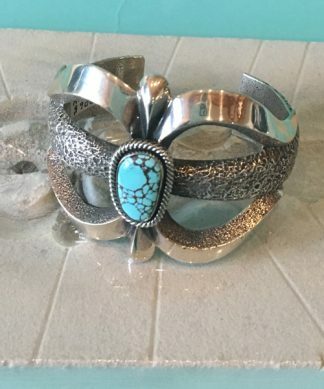 A gem quality piece of turquoise is set in a hand made bezel on the piece. The casting stone is included with the piece if desired. 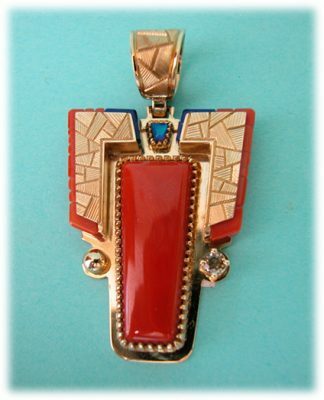 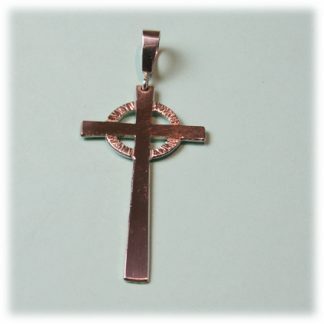 The pendant measures approximately 3″ by 2″.